The well-worn look in Koenji, Tokyo. Photo courtesy of Almanac of Style. Is it any surprise that among the micro-neighborhoods and meta-cultures of Tokyo you'll find a crop of Western-style vintage shops and thrifty attitudes that do Americana better than America? 's Ruby Nichols pinpoints a few of the best places to dig for old-school style and deals in the quiet area of Koenji. TOKYO – One of my favorite things about Tokyo is that a five-minute train ride can land you in what feels like an entirely new country. The quiet neighborhood of Koenji is not physically far from Shibuya, but it is psychologically distant from all the J-pop madness/sensory overload. Here in Koenji, hipsters are drawn to the suburban underground culture and live music venues, called "live houses." Largely unaffected by the '80s building boom, Koenji offers a taste of old-school Japan. Thus, the dense population of secondhand record and clothing shops are perfectly at home. With over 70 used clothing stores, it really is paradise for vintage fans. Americans should be aware that much of what you'll find here was brought over from the U.S., so don't expect rare Japanese treasures from bygone eras. A lot of what you'll see is stuff you can probably find in the States, but it's still great shopping nonetheless. Happy thrifting. This adorable boutique is only about a year old and owned by a lovely woman with exceptional taste. Look out for the gorgeous selection of Space Craft shoes (made in Japan) and exquisite clothing from other high-end brands, including Vlas Bloome, Varco, and Trois Temps from France. 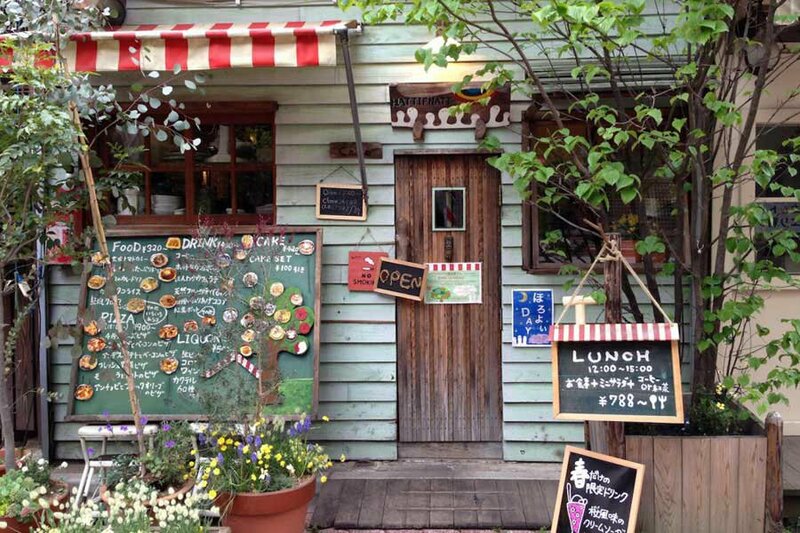 Willow is shoe cobbler Tomoyuki Shirayanagi's cozy den. It's fille with some of the most beautiful handmade shoes I've ever seen for men and women. He even holds workshops for would-be shoe makers. Arguably the coolest corner of designer dopeness in Tokyo, the Kita Kore Building is gaining quite a reputation in the global fashion world. Innovative boutiques (, , , , Southpaw) appear to be stacked on top of one another in a rundown building. Cutting-edge, futuristic fashion meets quirky vintage wares you won't find elsewhere. Not surprisingly, Lady Gaga and Pharrell Williams make regular stops here. One of three Safari shops in Koenji. This one focuses on high-end vintage imports and new items. It's super special. The used record shop has been around for 15 years and is practically an institution. Way back when, EAD was known for original pressings of New York disco classics. It has graduated to more spiritual, eclectic holdlings, including experimental electronics and rare, progressive 12-inches. Fantastic Americana for ladies — high-end and low — including J.Crew, Patagonia, American Apparel, and (of course) Ralph Lauren. A small, but handsome shop with every detail carefully thought through. Fellas will find an excellent selection of vintage menswear here. This quirky shop is exactly what the name implies. Filled with vintage Hawaiiana as well as beautiful mid-century furniture, there's no shortage of great knick-knacks to take home. Beautifully constructed garments and furniture from around the globe. Quality is the name of the game. Americana mostly from the '60s through the '90s. Expect to spend some time sifting through large stacks and racks. British vintage finds for men and women, including clothing, accessories, furniture, and records. Ladies can scoop-up some gorgeous dresses here. Ruby explores shops and sites in and . See the full Tokyo guide. Ruby is the founder and editor of . She travels for the hidden gems.